The new fabrication method is called I-MacEtch also known as the inverse metal-assisted chemical etching process. The new method comes against the background of rising demand for improved processing power of computers. There is a continual demand for reliable and powerful nanotechnologies in telecommunications grid and quantum computing among other elements. The new fabrication process is that it will apply I-MacEtch for the first time in the processing of indium-gallium-phosphide materials. I-MacEtch is the alternative to the two traditional approaches but the elements so far explored are limited. According to RIT, the traditional methods of fabrication include wet etching and reactive ion etching (REI). I-McEtch processing method will combine the benefits of these two conventional fabrication methods. Indium-gallium-phosphide is one of the different types of materials undergoing a test to complement silicon. Silicon is currently the principal material in the production of the semiconductor. Therefore, Indium-gallium-phosphide will go a long way in improving the capacity of semiconductor processing. At the present moment, the demand for enhanced computer processing power is increasing. As a result, the rising demand for improved electronics is leading the researchers to explore new processes. These new processes will help in lowering production costs while at the same time improving efficiency in production. On the other hand, the rising demand also influences the researchers to look beyond silicon in the manufacture of semiconductors. There are also other materials apart from silicon that can be used in the production of semiconductors for a variety of electronics. The discovery of different materials can also lead to the growth of the manufacturing sector. It will also lead to improved performance of various electronic gadgets. According to the researchers, they are not re-inventing the wheel, but they are modifying the existing technology in the manufacturing process. There are many advantages of improving the current technology which is tried and tested. The latest developments will help to bring added benefits to the production process of semiconductors. The manufacturing process of semiconductors involves wafers, and it is a multi-step process. The process comprises a coating, removing as well as conductive patterning materials. Of the two traditional manufacturing processes, wet etch consists of immersing a sample with blocked aspects in an acid bath. The aim is to remove the substances. The other traditional method is reactive ion etching where the ions react to the wafer’s exposed surfaces. The aim is to change its chemical properties while at the same time removing materials within those regions. The removal of materials is vital since it helps to eliminate undesired elements that can affect the performance of the semiconductor. Both methods have been in use in the development of complicated electronic patterns on the circuits. They also use silicon as the basis for this particular type of patterning. I-MacEtch’s improved patterning method could entail the reduction of fabrication complexities of different electronic and photonic devices. The fabrication scientists and researchers have been widely using MacEtch for processing of silicon. However, there are ongoing assessments of other materials that are in the III-V range of elements that can be helpful to the same fabrication type. The other materials with similar individual elements can also have other advantages that may help to improve the production of semiconductors. The researchers are also considering a variety of alloys of those II-V materials that include ternary alloys like indium-gallium-phosphide. Nanotechnologies play a role in the production of smartphones, solar cells telecommunications grids as well as quantum computing and new applications in photonics. As new communication technology continually develops, the demand for these components is also increasing significantly. For example, the development of solar cells is on the rise as people seek another alternative source of power. Solar energy is friendly to the environment, and many people are embracing it. 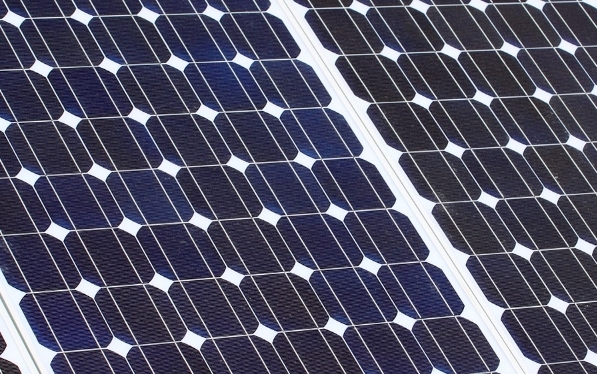 In the case of solar cells, the goal is to lower the cost of producing the battery while at the same time improving efficiency in the production process. The process also improves the overall performance of the device. On the other hand, other new technologies are also gaining popularity hence the need for sustainable development methods of semiconductors. The new fabrication technology has many advantages compared to traditional processes. The fabrication technology is cost-effective. It only uses a simple benchtop set up, but it helps to produce similar structures. The structures are higher in quality compared to the ones produced using REI, a traditional method. The new fabrication method costs less than the traditional one, and it also takes less time to create. The new fabrication process is also advantageous in that it involves fewer steps throughout. The process does not include higher temperature conditions like other traditional methods which makes it cost effective. On top of that, I-MacEtch process does not involve expensive instrumentation. The other notable benefit of this fabrication process is that it is sustainable. In other words, it does not cause much harm to the environment which is a plus. Environmental issues are gaining prominence in various sectors, and this fabrication method is advantageous in that it is friendly to the environment. Primarily, the new research aims to explore new methods of fabricating existing and relevant materials in a faster and less expensive way. The new approach also provides for controlled processing that consists of combined benefits of both wet etching and RIE. As a result, the new method will help to avoid bulky, expensive and other processing methods that can be hazardous.